2012 Fall Season Survivors: ABC Shows! Last week, I debuted the first in a series of articles dubbed 2012 Fall Season Survivors. The first installment broke down all of the new fall programs airing on NBC, some of which I hope will never make it past their first seasons. 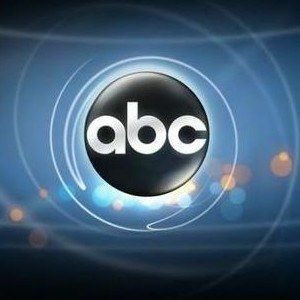 This second installment features the five new shows that ABC will be rolling out this year: The Neighbors (September 26), Last Resort (September 27), 666 Park Avenue (September 30), Nashville (October 10), and Malibu Country (November 2). As I mentioned in the first piece, I haven't seen any of these pilot episodes, and my predictions are based solely off readily-available videos, plot rundowns, and my intuitive gut instinct. Follow me? OK, ready... break! Despite the phenomenal success of Modern Family and the widely-unnoticed success of The Middle, ABC has always had a few holes in their Wednesday night comedy block. With Suburgatory establishing itself as a hit last year, the network has just one more slot to fill, and, apparently, they think that The Neighbors fits the bill. From what I can see so far, the bill has not been fit. The series centers around The Weavers (Lenny Venito and Jami Gertz), a garden-variety family who move into the gated community dubbed Hidden Hills. On the outside, even though each neighbor bears the name of a famous athlete, their new neighbors seem somewhat normal. Within the course of the pilot, The Weavers learn that this entire community is comprised of aliens from the planet... WhoCaresBecauseImBoredAlready... This sounds like an SNL skit that was rejected in the early 90s... and then reversed and turned into Coneheads. Lame. It will be interesting to see how this show does in both the plum post-Modern Family slot at 9:30 PM on Wednesday nights and the pre-Modern Family slot at 8:30 PM. I actually think that the 8:30 time might be for the best, because shoehorning it in between two established shows (The Middle and Modern Family) is a much safer bet than leaving it to fend for its own after Modern Family. It also doesn't hurt that they're contending with the tail ends of CBS' Survivor, CW's Arrow, and Fox's The X Factor, along with NBC's new show Guys with Kids. Still, I think this show looks just too weird and lame to succeed, despite landing on ABC Wednesdays. However, they don't have a ton of direct competition, and the sandiwching scheduling tactic just may pay off... for now. Full season order, canceled before Season 2. Last week, I said that NBC's Revolution was one of the two shows I was most looking forward to this fall season. Last Resort is the second. This show looks absolutely phenomenal in every possible way. The story centers on the crew of the U.S.S. Colorado, a nuclear submarine deemed the most powerful ship on the planet. One fateful day, the ship receives orders to launch a nuclear submarine against Pakistan. Captain Marcus Chaplin (Andre Braugher) does not agree with the order, and refuses to carry it out, which leads to a missile being launched against the ship. They find refuge on a barren island, when they learn that their own country tried to take them out. In short... this looks f&*^ing amazing! This show comes from Shawn Ryan, who created my absolute favorite series of all time, The Shield. Honestly, anything that has Shawn Ryan's name attached to it I'm down for, but this looks like the big network hit he (and I) have been waiting for. From a counter-programming standpoint, this show is in fantastic shape, since there is nothing else like it on the air at 8 PM on Thursdays. The show is going up against the CBS comedies The Big Bang Theory and Two and a Half Men, NBC's 30 Rock and Up All Night, Fox's reality show The X Factor and CW's The Vampire Diaries. Aside from the CBS shows, none of its other direct competitors are ratings juggernauts, and I would be thrilled if this drama can take the lame CBS "comedy" hour of The Big Bang Theory and Two and a Half Men off its ratings pedestal. This one, I'm kind of on the fence on. The show is created by Fringe writer-producer David Wilcox, and there is a wealth of on-screen talent in the cast. Still... I'm just not sure this one is a slam dunk. Rachael Taylor and Dave Annable star as a young couple who are offered a lucrative opportunity to become building managers of The Drake apartment building in New York City. They seem to have it all with this new gig in an ultra-posh building with classy tenants. But, of course, this situation is too good to be true, since The Drake has some sort of supernatural power over its residents. Yawn. They do have quite a wonderful cast, though, with Terry O'Quinn and Vanessa Williams playing the bizarre managers, who seems to have their hands on many other things. This haunted hotel/apartment/whatever genre has been around for far too long, and I'm not totally feeling it. This show might have the best air date of any new show on the air. Since NBC will be running football late into the night, and Fox doesn't air programming past 10 PM, the only competition this series has is CBS' The Mentalist. This super-soft time slot might end up being its saving grace. I've read a number of fall preview pieces this summer and it seems that this is one of the most critically-acclaimed pilots of the season. The thing is... I hate country music, and just from watching the trailer, even I am tempted to give this a shot. The show was created by Callie Khouri, who won an Oscar for writing Thelma & Louise, centering on a country music legend (Connie Britton) and a rising star (Hayden Panettiere) who are forced to team up by their record label. The cast is rather solid, and this could be the post-Heroes bump Hayden Panettiere has been looking for. She looks delightfully devious (and delicious) here as Juliette Barnes, a cunning songstress who will seemingly to anything to get what she wants. It's also great to see Powers Boothe and Eric Close back on the small screen. Thankfully, this isn't a "musical" series, per se, and it seems there may be enough intriguing dramatic elements that will make this worth watching, even for anti-country music folk like me. They really have the perfect time slot for this, with a nice dramatic counter-programming to the network's Wednesday comedy block at 10 PM. It also helps that there isn't much competition at all, with only CBS' aging procedural CSI: Crime Scene Investigation and NBC's new show Chicago Fire to contend with. I think that life looks pretty good in Nashville this season. I'm not quite sure what ABC is thinking here, in more ways than one. Perhaps the network thinks they can pull off a repeat of NBC's Friday night success with Grimm with this corny comedy starring country singer Reba McEntire as, guess what... a country singer. Blah. Unlike Nashville, there is nothing intriguing at all about this, a story which easily could have been a spin-off of some Reba episode. I have no interest in this whatsoever, and I hope no one else does either. Friday nights are surprisingly packed full of solid shows this year, and Malibu Country is going up against a few of them at 8:30 PM. They are squaring off against NBC's Community, which already has a rabid (if not far too small) fan base, Fox's Touch, and the tail ends of CBS' CSI: NY and CW's America's Next Top Model. If this would have came out last year on Friday nights, it would have been in much better shape than this year. Cancelled after 13 episodes, or earlier. That wraps it up for my 2012 Fall Season Survivors piece on the new ABC shows. Check back next week, when I will break down the three new shows airing on Fox. If you agree or disagree with my picks, feel free to drop me a line on Twitter. You can also CLICK HERE to check out my predictions for the new shows on NBC.